2013 Carbon Fiber Bracelet Mens | BUDK.com - Knives & Swords At The Lowest Prices! 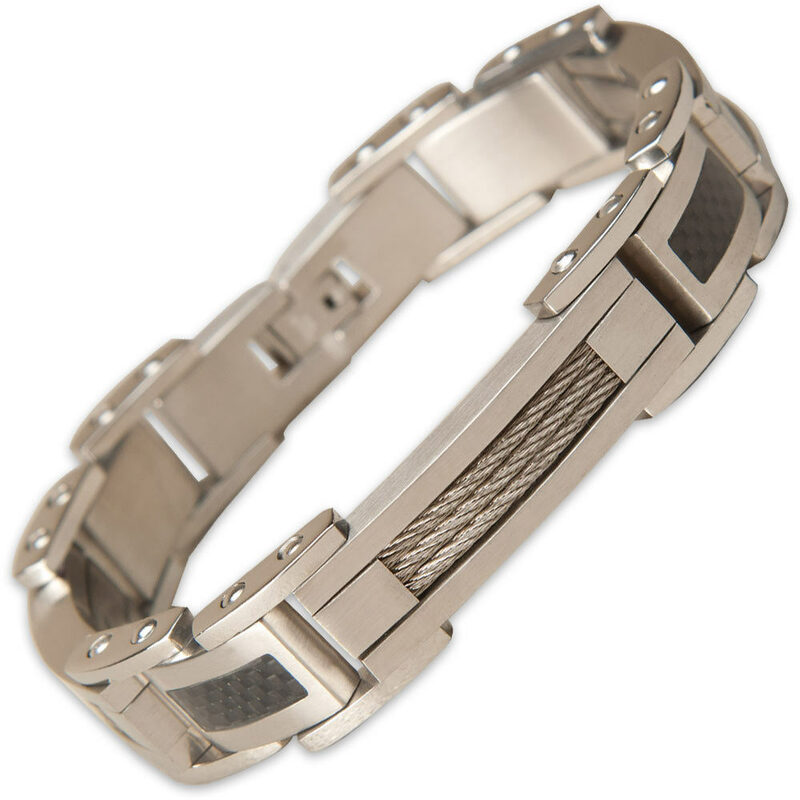 Show everyone you're a modern man when you step out in this bold carbon fiber and steel wrist piece. 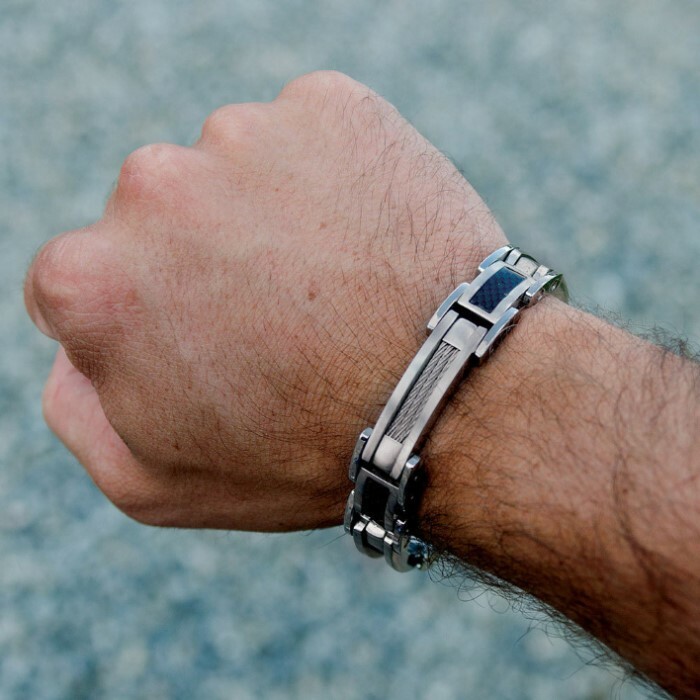 This bracelet features a contemporary look and feel that men can appreciate. Package got here pretty fast. It looks very nice and pretty but i was a little upset that it already broke after a few minutes of wear. Well made from surgical stainless steel. I lost one I bought for $139.00 and recently found it but I like this one better so I still wear my bracelet every day and get compliments all the time. It's $100. Cheaper and better quality thanks again. For the money it is preety cool. Heavy and solid. Have worn it little so far. I've always enjoyed high-tech and solid gear. This bracelet fits the bill wonderfully. well made and cool design. I have had none of the problems that the other customer had. this is just totally awesome! Its one of those things that just feels good without being imposing. I would buy this again for a friend. 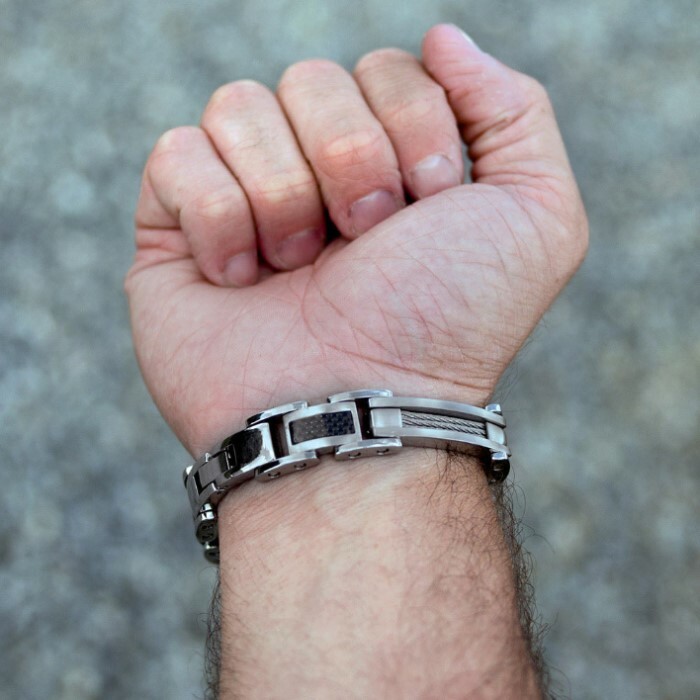 The Carbon Fibre Bracelet is very nice and looks durable. At first look when I received it I was surprised that it had a little weight to it. In a week the lock on the bracelet wont lock anymore and it has these little braces that hold the bracelet together that get loose and it ends up falling apart. Not worth the price* and very poorly done.